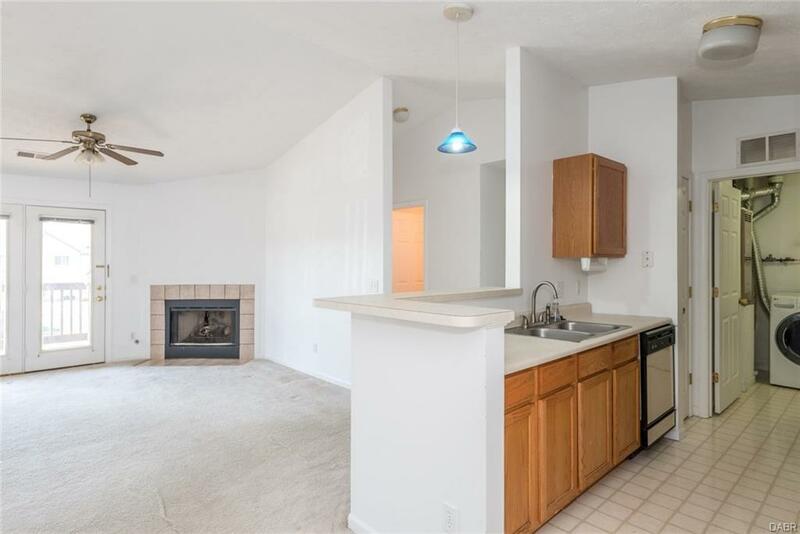 Nice, clean condo waiting for you to call home! 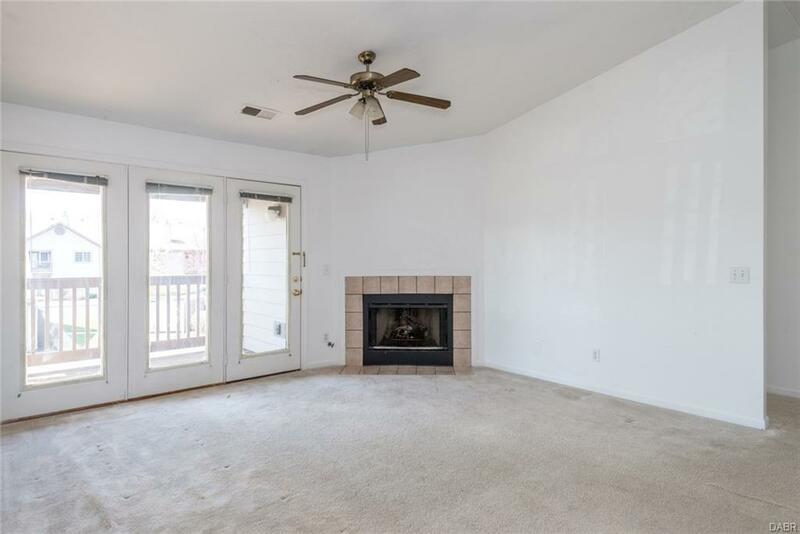 You'll appeciate the security of 2nd floor living in this nearly 1200 SF home. The great room is flooded w/ natural light & features a gas fireplace & cathedral ceiling. Open to the kitchen, it makes a perfect entertaining space. Just off the Great Rm is a lovely balcony where you can enjoy a cup of coffee or wind down in the evening. Kitchen has all appliances included & a new faucet. Washer & Dryer also stay with the home. Split floor plan offers large Master Bdrm w/ Walk-In Closet, Cathedral Ceiling & En-Suite Bath. 2nd Bedrm is generous in size & also has Walk-In Closet. Neutral palette and no wall paper to remove. 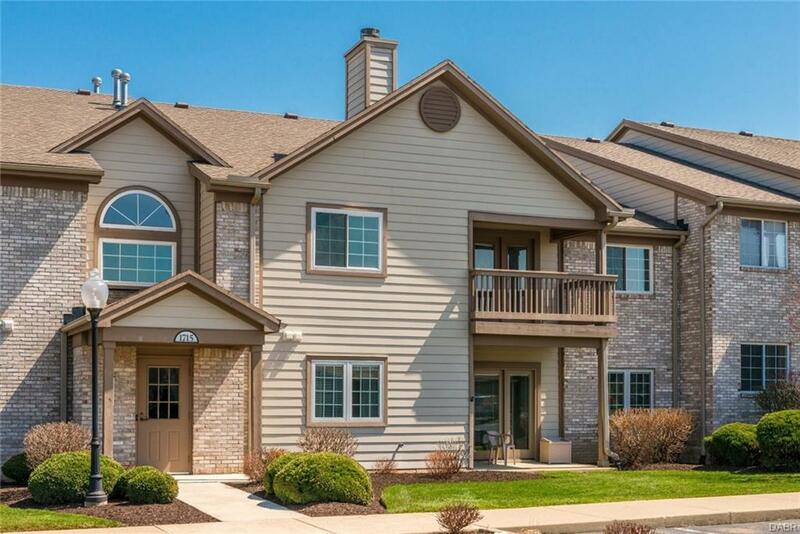 Condo ammenities include Pool, Clubhouse, Workout Facility, Tennis Courts, Water, Trash, Sewer, Mowing, Landscaping & Snow Removal. 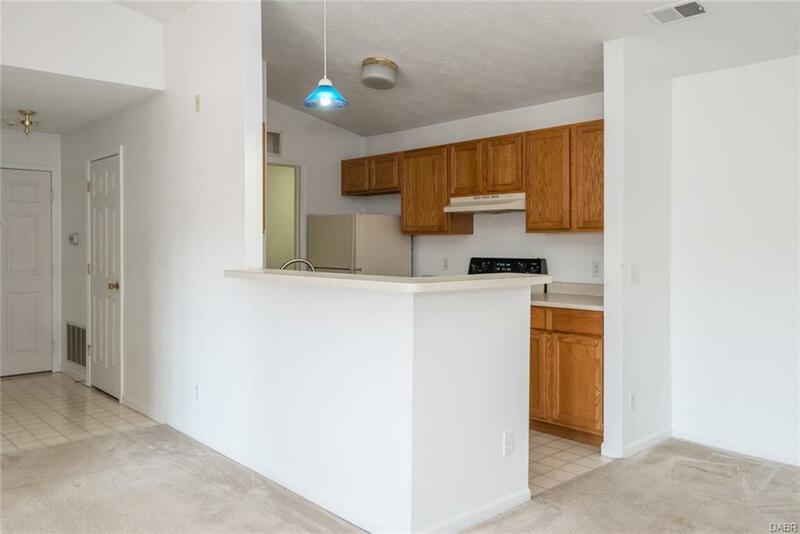 Conveniently located near shopping, WPAFB & I-675 access. Large storage area at back of building for those odds & ends. Call today to schedule your private showing & make it yours! Listing provided courtesy of Shannon Dixon of Keller Williams Home Town Rlty. © 2019 Dayton Area Board of REALTORS® MLS. Information Deemed Reliable But Not Guaranteed.